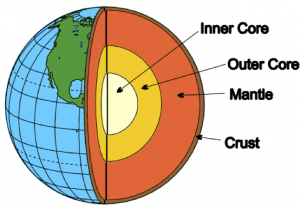 “Paleo-structure modeling of the Earth’s mantle will provide crucial information on the history of plate-driven forces, the material properties of the deep Earth, the temporal evolution of the core-mantle boundary, as well as a deeper understanding of the development of sedimentary basins, thereby advancing us into an era of integrated investigations that will alter our view of the Earth system.” So concludes an article in the December 2013 issue of SIAM News. Hans-Peter Bunge (Ludwig Maximilian University, Munich, Germany) explains the role mathematical modeling is playing in understanding mantle convection, and how optimization methods are being used to recover the past deep-earth structure. This entry was posted in Geophysics by SIAM. Bookmark the permalink.